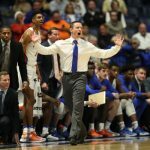 Florida Gators basketball will be undergoing a lot of changes ahead of the upcoming season, namely finding a way to replace one of its most dynamic players in junior forward Devin Robinson. Robinson on Friday announced that he will hire an agent, making him ineligible to return to college. He previously announced that he will declare for the 2017 NBA Draft. Robinson never missed a game in his career, though he did put off an NBA Draft inquiry for one year after fracturing his foot following the 2015-16 season. 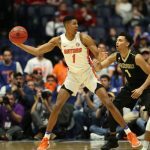 He starred for the Gators in the first two games of the 2017 NCAA Tournament but fell off after that, continuing the up-and-down, inconsistent play that plagued him throughout his career. 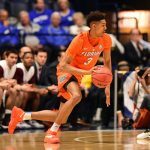 UF also lost freshman guard Eric Hester to transfer and awaits word from redshirt junior center John Egbunu, who has yet to declare for the draft or hire an agent but indicated he is considering his options. Egbunu suffered a torn ACL during the 2016-17 season and is not expected to be cleared to play basketball until January 2018. Someone should give Devin Rosetta Stone for a going away gift to learn some Italian.